Do you carry around a ring full of heavy keys? Is valuable time wasted searching for the right key? If you answered yes, master key locks may be right for you. Offering state of the art systems, our professional commercial locksmith experts at Pros On Call can bring your locks into the 21st century. Our services are provided by fully licensed, bonded, and insured technicians with at least five years of experience. We are ready and waiting to fix your lock emergency with a smile. So give us a call for expert master key lock services and so much more. We can’t wait to work with you! Put simply, a master key lock system is a tool used by a range of entities to minimize the number of keys needed to access all of the locked areas of your business without compromising security. Each door included in your master lock system has its’ own unique key. 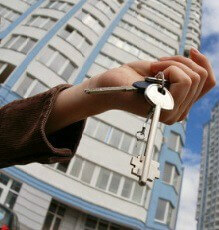 At the same time, a master key is designed to open every door in the system. Do you need a key to open a few, but not all of your doors? We can set that up for you too. The applications for master key locks are endless! Ease of expansion: Future locks can be added without new keys needing to be made. Convenience: Employees will need fewer keys and contractors (like janitorial services) can be given just one master key. Multiple keys are no longer out of your control. Security: Employees are given access to exactly what they need, and nothing that they don’t. Increased efficiency: No more time spent searching for the right key. Flexibility: Your master key system is as complex or simple as you want. Which master key lock system is right for you? With so many master key lock systems to choose from, it can be hard to know which system to choose. Our friendly technicians are here to provide expert advice. We know your time is valuable, and our emergency locksmith team will respond to your inquiry within 30 minutes. With upfront pricing, there are no surprises, and we’ll work with you and your budget to design a system perfect for you. We use locks from the top brands in the business including Schlage, Baldwin, EVVA, and Kwikset. You can rest assured that your Master key lock system from Pros On Call is one of the best. This is all provided by fully licensed, bonded, and insured technicians with at least five years of experience. We are ready and waiting to fix your lock emergency with a smile. So give us a call for expert master key lock services and so much more. We can’t wait to work with you! Master Key Locks https://prosoncall.com/locksmith/commercial/master-key-locks/ 4.1/5 based upon 19 reviews.